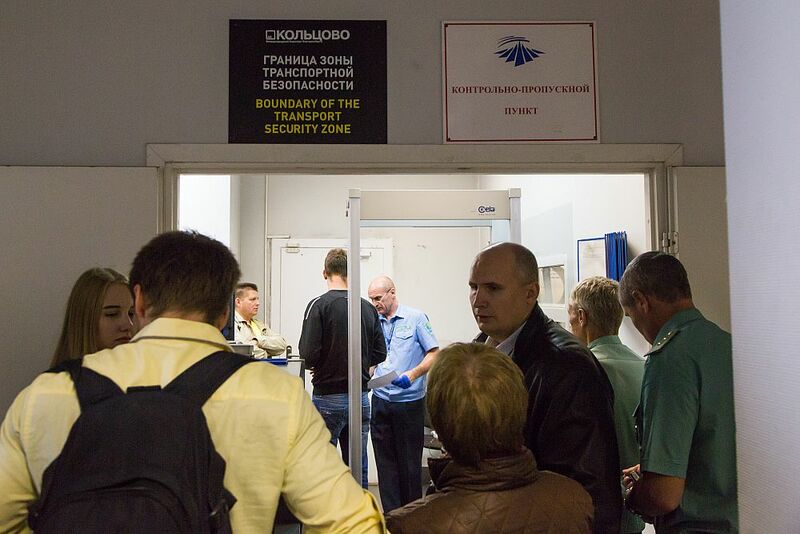 At the passenger customs point of Koltsovo Airport, the guests were shown how the customs control of international flights ran. 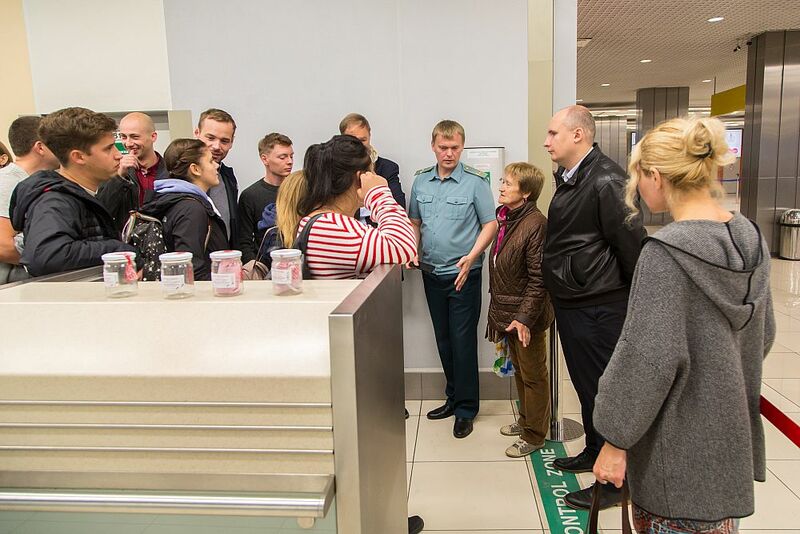 The head of the point, Dmitry Shishkin told about the customs control system in two corridors: red and green. 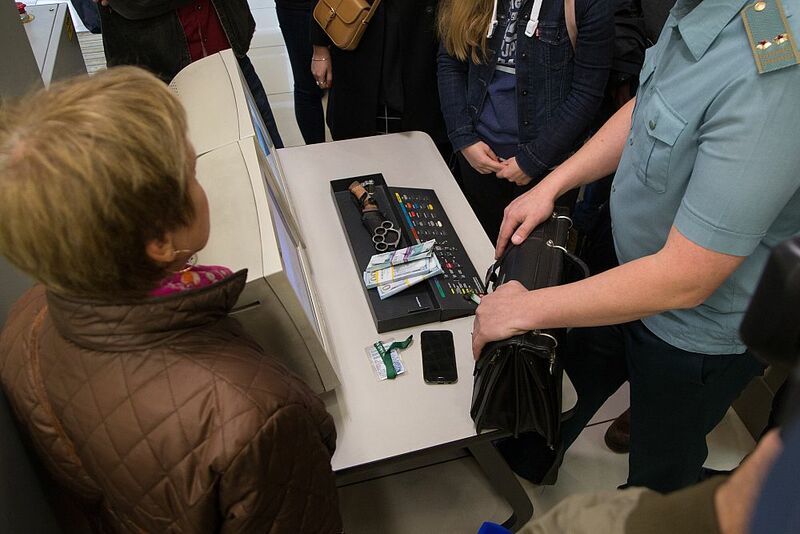 He showed what forbidden objects the tourists try to sneak across the border. 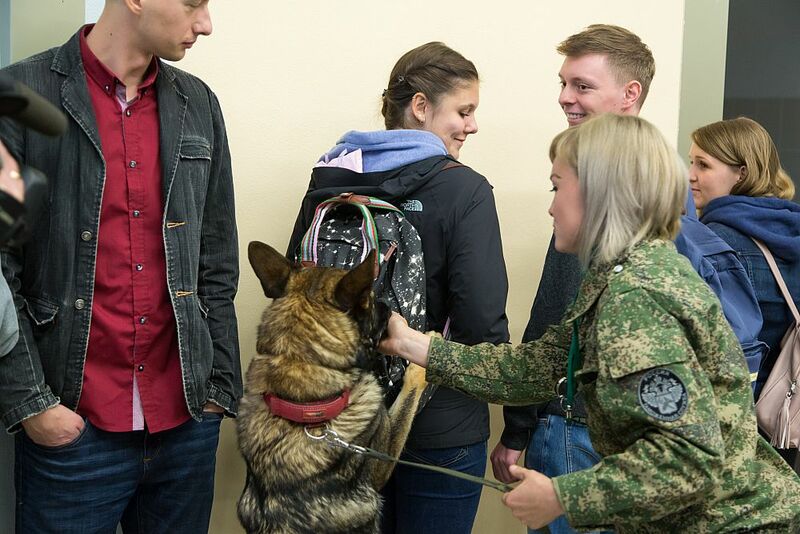 The main state customs inspector of the canine unit of the Koltsovo customs Ekaterina Nikolayenko suggested the students try on the role of smugglers: the guests put in their pockets some simulators of heroin and cannabis smells. 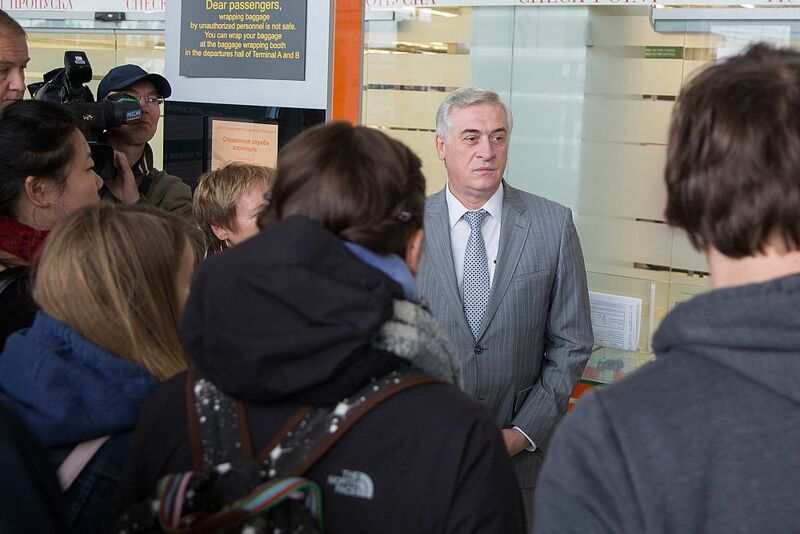 In a few seconds, a sheepdog Dynamica found the “drugs”. 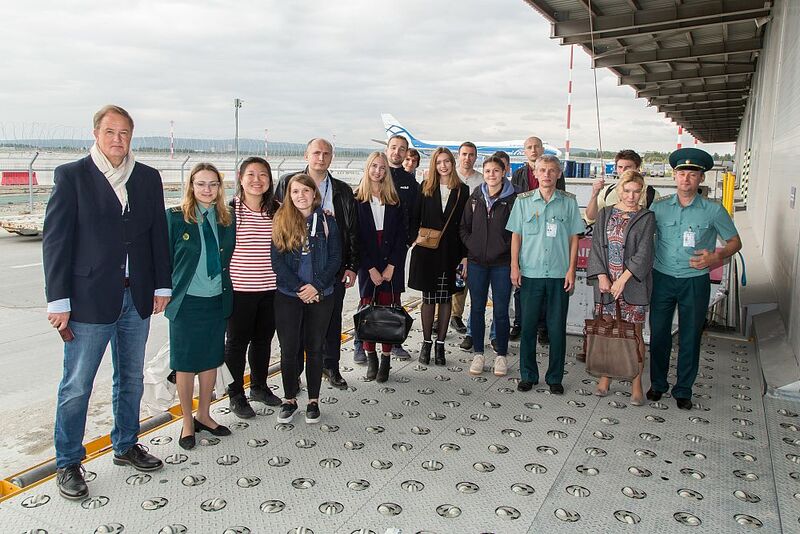 The DAAD students learned about the control of international postal items at the postal customs point of Koltsovo Airport. 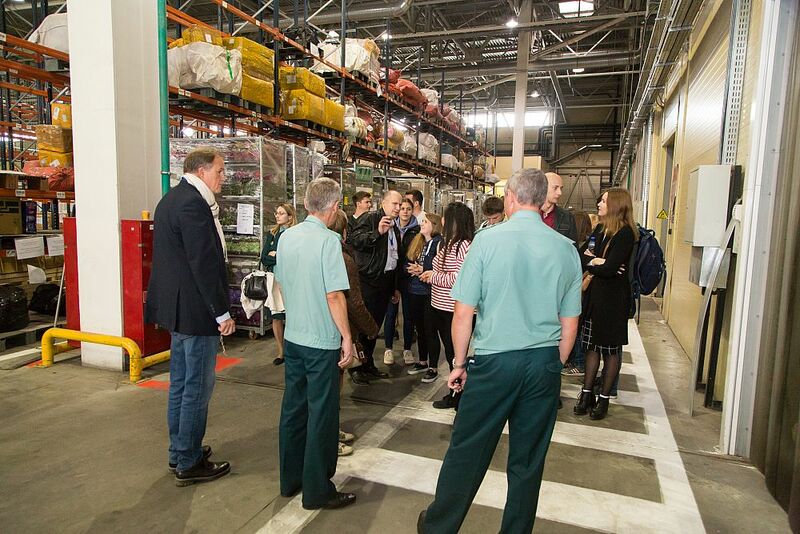 Customs inspectors control more than three hundred thousand parcels a day. 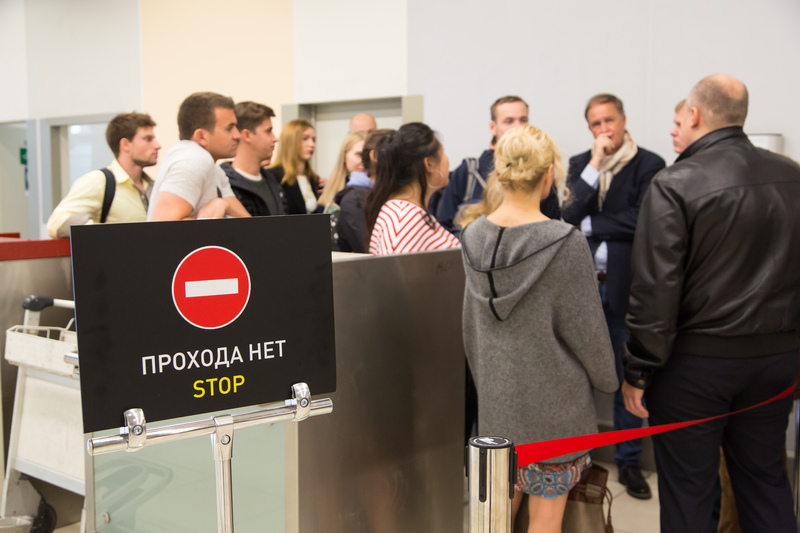 The vast majority of them are Russians’ purchases in foreign online stores. 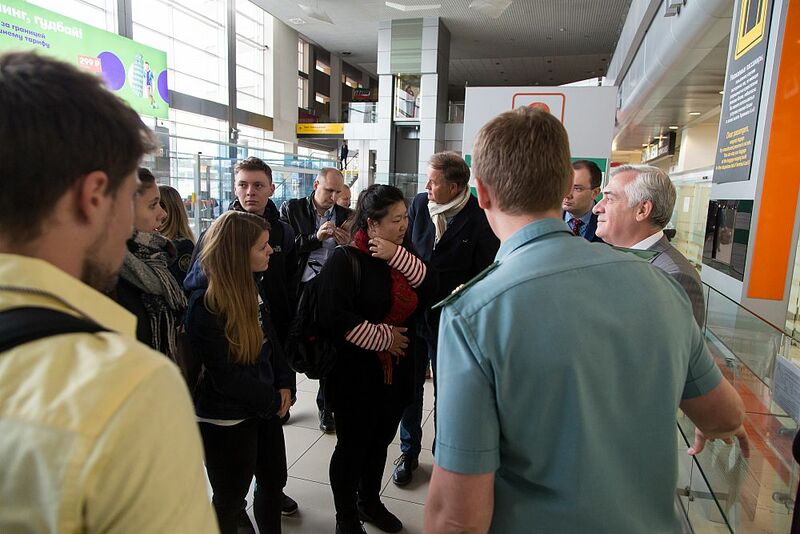 The task of customs officers is to prevent the importation of commercial lots of goods under the guise of purchases for personal use, as well as goods banned for import.